A round yellow feather with a curl in the front of its head and a lovely cute little chicks. 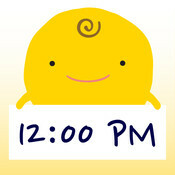 who among us internet user did not know about this icon "the Simsimi". the Robot that can chat anytime and anywhere. the robot that can chat to you like your neighbor friend. Simsimi chat is able to use many application such as able to chat to you any language you want and many words into his word encyclopedia. and able to answer what is your question is. the Simsimi chat is also downloadable in all computer and play in online by going to their official site and download into your computer and run into offline mode. How about downloadind simsimi chat into your Androids, Mobile Phones and I Phones. yeas it is downloaded for free. all you have to do is download the link and read the instruction how to used. Simsimi chat is a trending Search in all Search engine such as Google, Bing and Yahoo.